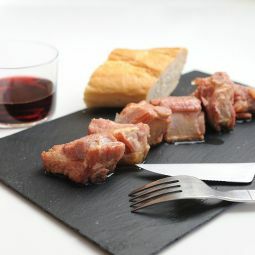 The Sobrasada Sausage from Mallorca, the real one, is a spread sausage with a rich and special taste. The brilliant orange colour, the creamy texture and the great taste make it a delicacy. 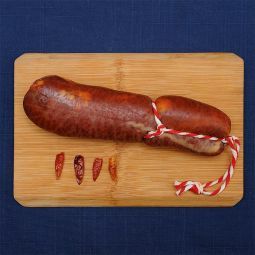 The Sobrasada Sausage from Mallorca, with I.G.P. 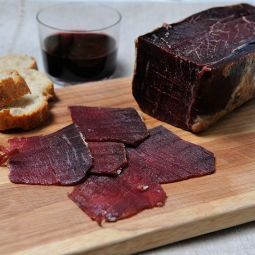 *, is a spread sausage that comes with all the taste of the Balearic Islands. This typical sausage has a special and rich taste. Our Sobrasada Sausage from Mallorca is traditionally made with pork meat and cayenne (pimenton) and it is inlayed in natural casing. The Sobrasada Sausage from Mallorca has a brilliant orange colour and a soft texture, ideal as spread. 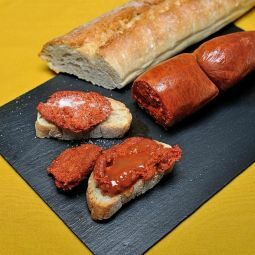 Enjoy our Sobrasada Sausage from Mallorca spread on a piece of bread. 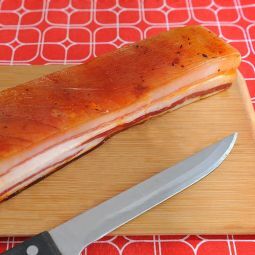 You can also fry or bake it and it is great together with eggs.